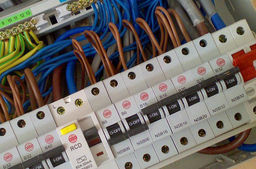 L.S.Sweeney Electrical Local, Fully Qualified Electrician With many Years Experience, with a Friendly Professional Service, No Job to Small, No Call Out Charge, no VAT, Sensible Prices With No Hidden Costs. We undertake all Domestic and commercial electrical works, No jobs too small. FREE estimates, quotation and advice. All work guaranteed, certified and insured.